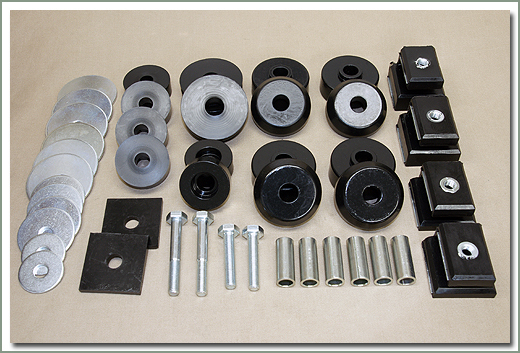 Specter offers an aftermarket Polyurethane Body Mount Kit that is made of soft flexible polyurethane for maximum body to frame flex for extreme off-road articulation. Kit comes complete with body mounts and hardware. Available in Black (B) or Red (R). 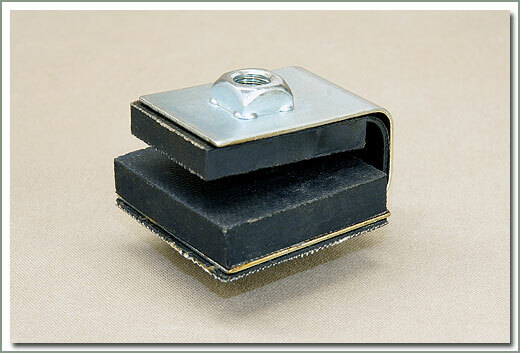 Specter offers an aftermarket Polyurethane Body Mount Kit that is made of a harder polyurethane than #105-100. 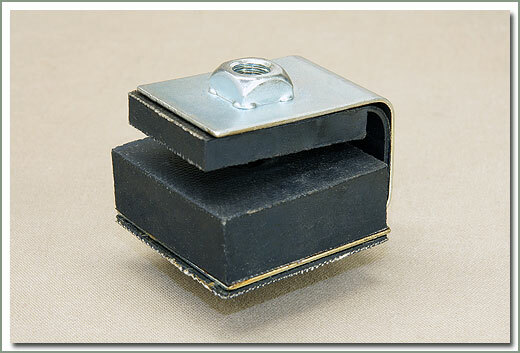 This firm type body mount is more like the factory Toyota style but at an attractive price. Kit comes complete with body mounts and hardware. 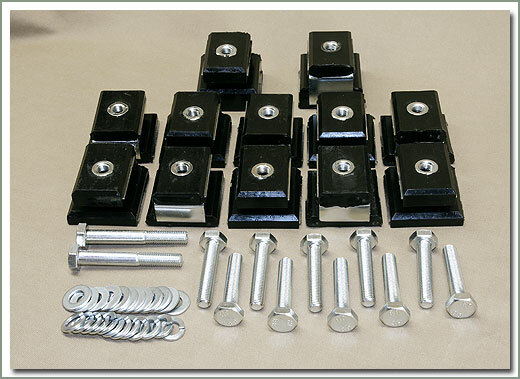 Now Specter can offer an aftermarket Polyurethane Body Mount Kit that fits 1979-1984 FJ40 & BJ40 models. 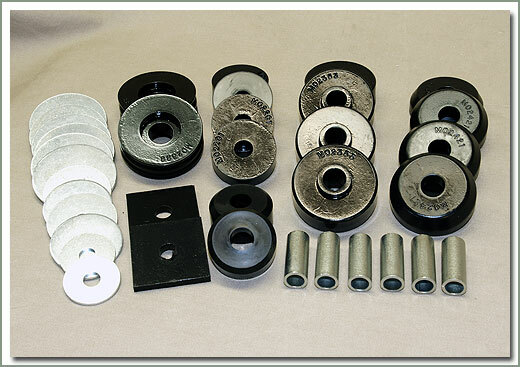 This kit contains urethane body mounts, sleeves, and washers. Hardware not included. 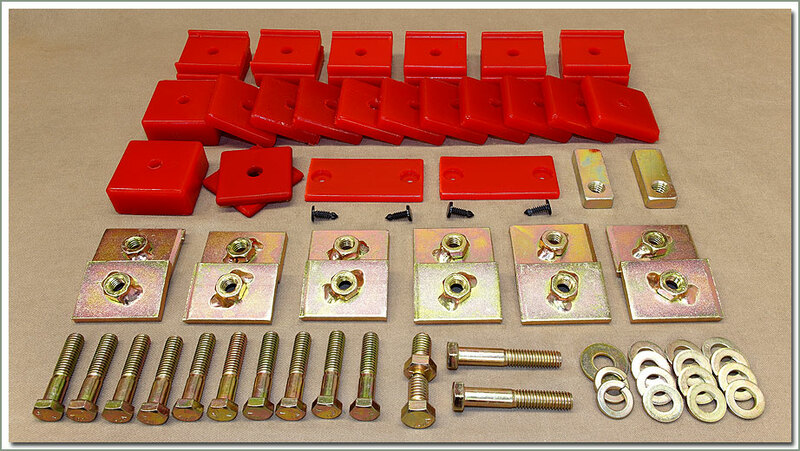 This kit contains urethane body mounts, sleeves, and washers. Other hardware not included except where shown in photo. 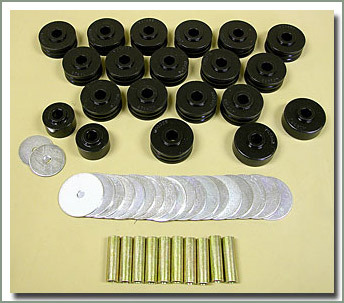 Fits 1965-1/79 FJ45 long wheel base Pick Up truck and Troopy - Firm Ride - Set includes body mounts and hardware. Some original mounts will need to be re-used depending on your application. 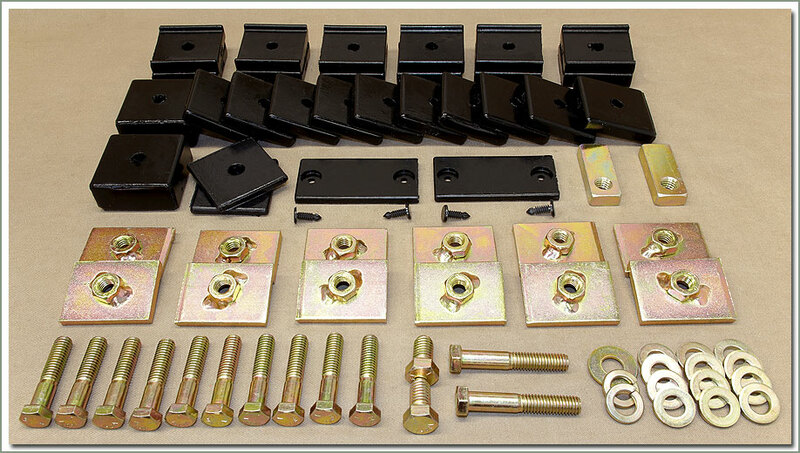 Now Specter can offer an aftermarket Polyurethane Body Mount Kit that fits 1968-7/80 FJ55 models. 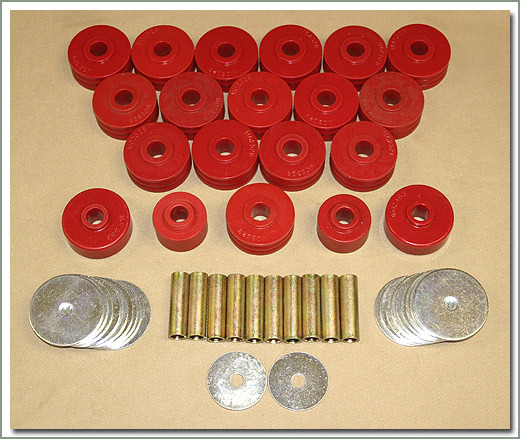 This kit contains urethane body mounts, washers, and sleeves. Hardware not included.